The idea of Southern Trace shopping, easy access and plentiful dining selections to choose from: this may be the location you are looking for! 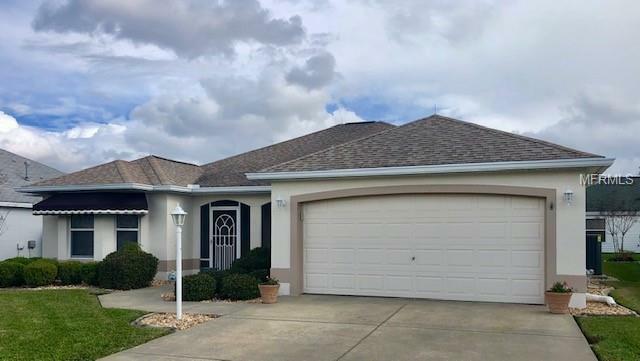 Not to mention the convenience to the Polo Fields, Glenwood CC, Savannah Reg Rec Center, and easy access to both Spanish Springs and Lake Sumter Squares for even more shopping, restaurants, movies, entertainment and nightly live music. Your daily stroll will give you a beautiful view of the golf course and water just outside your door! This location offers it all! 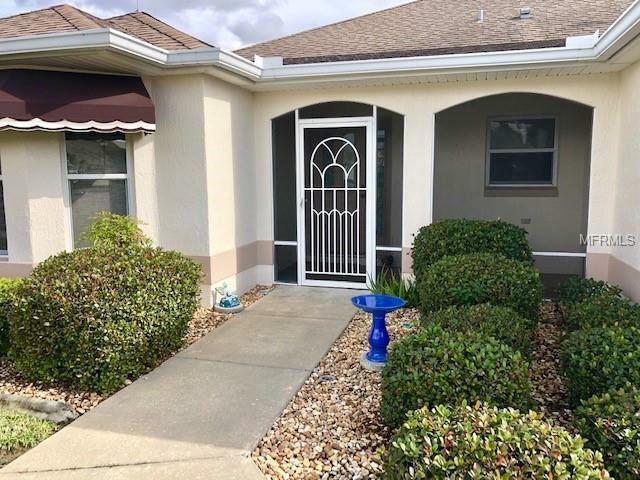 This 3/2 Royal Palm awaits you! The lovely curb appeal and newly painted exterior with professionally manicured and curbed landscaping surround the entire home including rock bedding. The front Lanai entrance is enclosed and the flooring is painted-great for your morning coffee time. Notice the lightning rods, and most importantly rain gutters around the entire home! You dont often see that! 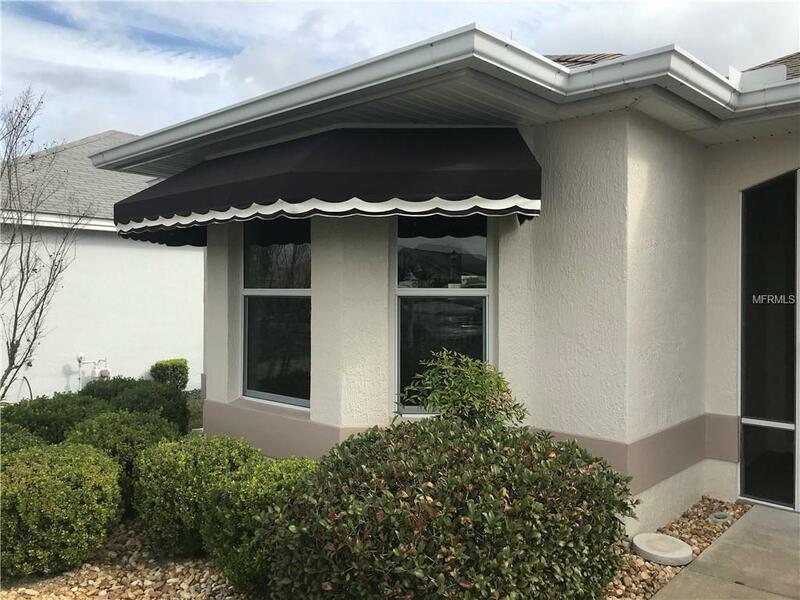 The accent awning gives this home even more charm. A Pocket door separates the guest rooms from the main living room area, and is also featured in the master shower area. Check out the large walk in closet in the Master! This home is a must visit. 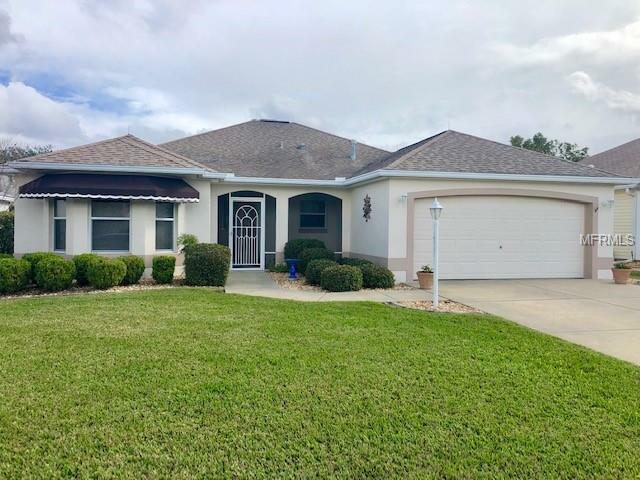 There is a newer HVAC system (2016) new water heater (2016) plus home features Aprilaire air cleaner system, newer appliances, and double pane windows. The living room solar tube really lightens up the main living space. BOND HAS BEEN PAID! Nearest Country Club-Glenview. Nearest Reg Rec Center-Savannah. Closest Village Rec Center-El Santiago or Saddlebrook.